19 – 21 September – Tension in the Moria hot-spot. 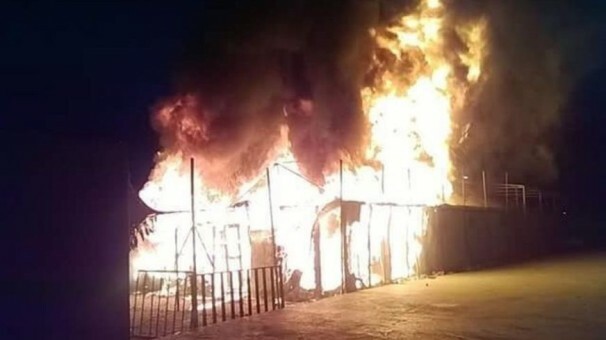 At least 4.000 refugees/migrants have been evacuated from the hotspot in Moria – Lesvos as a result of a fire which destroyed approximately 30% of the centre. It is unclear how the fire actually started but allegedly it was the culmination of generalised tension brought about by the conditions of detainment and the delays in the asylum process. The refugees/migrants who cannot stay in Moria anymore will board a large capacity ferry-boat that is currently being commissioned by the government. The ‘off-shore’ hotspot is expected to relieve ‘social pressures’ on the island which intensified as a result of the violence outbreaks. 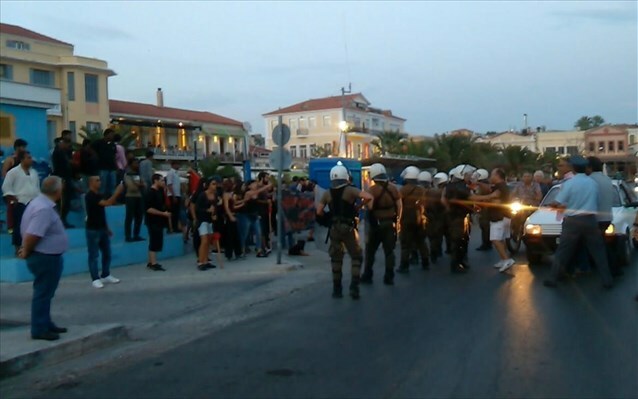 Several islanders, including members and sympathisers of the neo-nazi party Golden Dawn, organised demonstrations and there were cases of physical and verbal violence against local journalists and refugee women. The Moria hotspot included a number of children, accompanied and unaccompanied. Unaccompanied children were transferred to the PIKPA facilities. In-depth fieldwork in make-shift camps in Greece over the last year has revealed major problems with camps and ‘hot-spots’ (as anticipated by our team – here). Forced to exist in protracted conditions of insecurity, lack of knowledge about and control over one’s future, refugees/migrants suffer a violent ethic of abandonment that saturates these non-places. Tremendously delayed, asylum processes, low quality food, long term detention and uncertainty about the future produce refugees/migrants as a particular social category of superfluous existence. Stripped of their dignity, unable to work, to be creative, to continue their lives, to educate their children and to exist as part of a community, refugees/migrants and asylum seekers are criminalised, targeted and subjected to further violations of their human rights. Local communities –mainly due to reduced tourist activity on the islands- seem to be suffering a burn out which is used by radical groups as a pretext to create further agitation, to legitimise hate speech and to reverse the climate of tolerance and solidarity that remained strong through the years. The government continues off-shoring their responsibilities to NGOs, solidarity organisations and volunteers, just as the EU as a whole is off-shoring the issue of protection to a non-EU member state. Hot-spots and detention centres, slow and deficient bureaucratic systems, and lack of bold political initiatives to protect and defend the human rights of forcibly displaced people create further layers of vulnerability and exclusion. As it has been observed in other sites (make-shift camps and detention centres) displaced persons are not passive and they understandably refuse to accept the status of the non-citizen and the deportable victim. The recent events in Moria need to be understood as an effort on behalf of the refugees to engage in a struggle for their political rights. At the same time however these actions alienate local communities who are concerned with their public image as tourist spaces. The tension between refugee/migrants’ rights and local people’s concerns creates a niche for the cultivation of radical and xenophobic discourses in Lesvos, mainland Greece and a plethora of European countries. The refugee/migrant crisis is fast transforming into a crisis of democracy for European Nation-States. ← Plea by the citizens’ initiative SYNYPARXI and COMMUNICATION in the AEGEAN to the Greek Government.